Magnesium has important benefits for the body. Magnesium is an essential mineral necessary for normal functioning of various organs and systems of the body including the skeleton, heart, and nervous. Magnesium deficiency can cause a variety of complaints and negative effects on the body. Food consumed sometimes do not provide enough magnesium to the body's daily needs. You can increase your intake of magnesium and protect health by taking magnesium supplements. Magnesium is important to accelerate the body's metabolism. Magnesium helps the body to break and use carbohydrates, fats, proteins, and several minerals including calcium, zinc, and copper. Magnesium relaxes blood vessels and helps lower blood pressure. Magnesium may help prevent arrhythmias (abnormal heart rhythms) and reduce the incidence of migraines. Magnesium is essential for bone health, so that magnesium deficiency can lead to osteoporosis. Magnesium is also important for muscle function. Inadequate levels of magnesium can cause muscle cramps. Magnesium is a mineral that is essential to a wide variety of body processes, including energy production, protein formation, DNA production, and nerve conduction. It helps maintain normal levels of potassium, phosphorus, calcium, adrenaline and insulin, and keeps heart health. Magnesium helps improve insulin reaction and thereby, reduces blood sugar levels. This helps diabetic patients gain healthy blood sugar levels. Green vegetables are a rich source of magnesium. Spinach, broccoli and peas contain a very high amount of the nutrient. Even one-cup serving of any of these foods provides as much as 150 mg of magnesium to the body. Whole grains prove to be another excellent source of magnesium. Brown rice, millet, whole wheat bread and other grain food contains good amount of magnesium. At least 24 mg of magnesium is consumed by the body through whole grains. Fish has very high magnesium content. For instance, as much as 170 mg of magnesium can be added to your diet (per serving) by consuming Halibut. Then, a ½-can of tuna fish contains 28 mg of magnesium. At the same time, fish is very high on protein and other nutrients as well. Eating beans is an excellent and inexpensive way of adding magnesium to your diet. White beans, black beans, pinto beans and lima beans are very rich in the said nutrient. In fact, over 100 mg of magnesium is contained in a one-cup serving of beans. Tomato paste is also a simple way to add the required amount of magnesium in your diet. You just have to cook your vegetables and meats in tomato paste to make them magnesium-rich. Over 130 mg of magnesium is present in one cup of tomato paste. Most of the dairy products are very high on nutrition content, which includes magnesium. 8 oz. plain, skim yogurt contains about 45 mg of magnesium. 24 mg of magnesium is present in one cup of whole milk. Some desserts are a delectably rich source of magnesium. For instance, 4 oz. chocolate pudding contains 24 mg of magnesium and 1.5 oz. milk chocolate candy bar accounts for 28 mg. Those who want to keep their weight in check can rely on other sources of magnesium. Some of the fruits are also rich in magnesium. For example, 1/4 cup seedless raisins have 25 mg of magnesium, while 30 mg of magnesium is present in a middle-sized banana. Fresh apricots are another good source of magnesium. Nuts are a supremely rich source of magnesium. Almonds, Brazil nuts, cashews, and pine nuts have high magnesium content. 2 oz of any of these nuts provide for a sufficient magnesium supply to your body. In addition, you can also take supplements with 250 mg of magnesium as part of the daily diet. Look for a supplement that provides magnesium in the form of magnesium citrate or aspartate for the best results. In case you find the necessity to take magnesium supplements, make sure to consult your doctor (especially if you have any kind of intestinal disease). The RDA for magnesium is 280-350 mg and the recommended amount ranges from 300-450 mg. Toxicity is rare in high doses because of intestinal absorption automatically lower with higher intakes of magnesium, and the kidneys to excrete the excess amount by leaps and bounds. 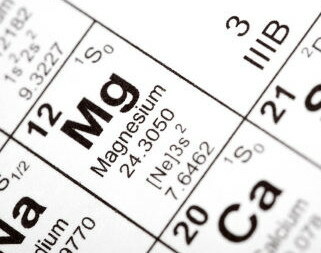 The most common side effects of too much magnesium is diarrhea or nausea, although severe side effects such as muscle weakness difficulties, lethargy, confusion and breathing can occur. Symptoms of magnesium deficiency can cause muscle spasms, irregular heartbeat, seizures, confusion, irritability, nervousness, and personality changes. Magnesium supplements in high doses (more than 350 mg per day) can cause diarrhea. Certain medications and antibiotics such as gentamicin and diuretics such as furosemide used to treat heart failure or renal impairment, can reduce levels of magnesium in the body. Magnesium can also interfere with the absorption of some drugs including the anti-malarial drug.